Food production is already deeply affected by our rapidly changing climate as the Earth is gradually getting colder. We now see increasing floods, drought, and other devastating weather that is reminiscent of what had been experienced during the Little Ice Age in 1600s and 1700s, when 10% to 30% of the populations in the European regions died of starvation resulting from the agricultural losses. With this in mind, how will we respond in out time when 70% of the world's agriculture becomes simultaneously and rapidly disabled as the Ice Age Transition unfolds that may already be in the beginning stages? The Ice Age Climate is the normal climate for the Earth. Our warm period is the anomaly. 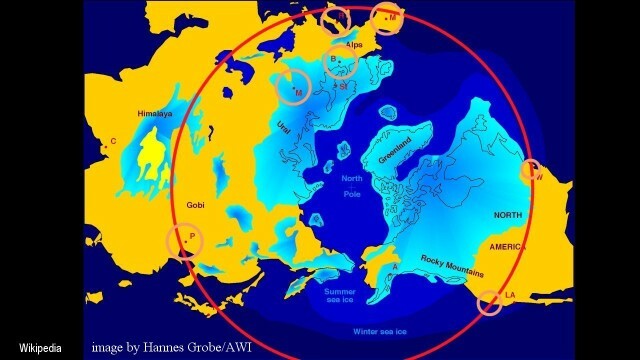 Are the Ice Age Cycles mechanistic or dynamic? What about global warming? Of the four major climate cycles - the 11-year solar cycles, the 100,00-year Ice Age cycles, the long 62 and 145 million year cycles - are any of them mechanistic in nature? Food production is already deeply affected by our climate that is gradually getting colder. How will we respond when 70% of the world's agriculture becomes simultaneously rapidly disabled? While nobody cares to acknowledge the Ice Age challenge, it has ruled the political scene already for 35 years, and deeply, where it has been acknowledged in a decisive manner. Most people are unaware what forces in the physical universe impact their living in the form of floods, drought, tornadoes, hurricanes, rain, or just plain cold weather, which affects them right down to the prices on the grocery shelf. Nor are they aware of the options that exist to avoid the resulting tragedies.